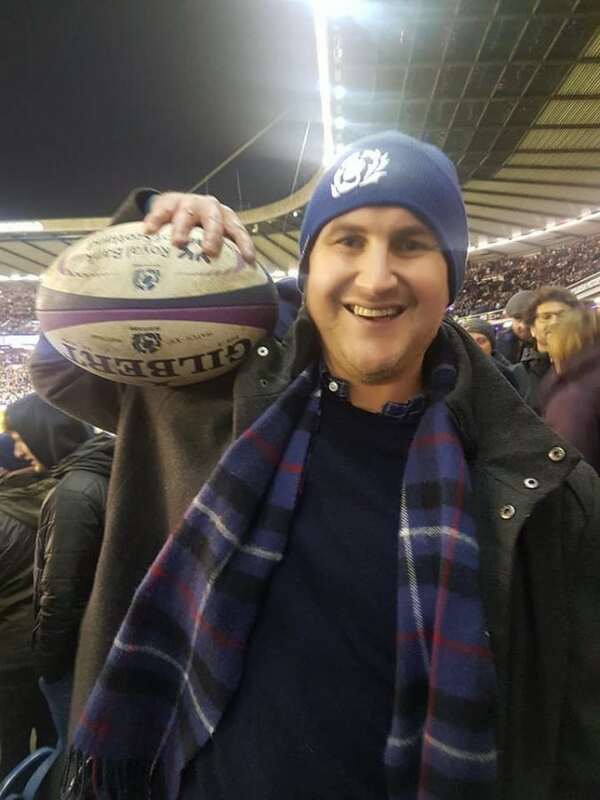 A Scottish rugby fan will have more reasons to remember the historic Calcutta Cup victory — after catching the matchwinning ball at full-time. The ball was launched into the stands at the final whistle on Saturday evening — as Scotland defeated England for the first time in 10 years — and Iain Cooper managed to catch it. 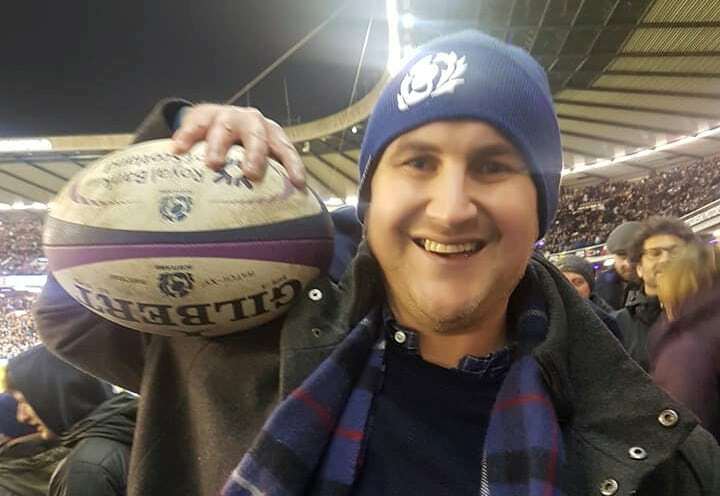 His girlfriend Erin Linton posted a picture of Iain posing with the ball shortly after full-time at Murrayfield Stadium. Oil worker Iain from Arbroath, Angus, says that the memento of the 25-13 victory in the Six Nations will be treasured “for generations”. Iain Cooper with the match ball at Murryfield in Edinburgh after Scotland’s victory over England in the Six Nations. The 38-year-old, who has played for Arbroath Rugby Club for 20 years, caught the ball out of instinct as it flew through the air towards him. He said: “To be honest, I don’t know who threw the ball. Erin and I were caught up in the moment, chatting to people, and I wasn’t even looking at the pitch. “I saw the ball out of the corner of my eye, coming at me from the left, and it was an instinctive reaction to reach out grab it. With the ball deposited for safe keeping, Mr Cooper, an inside sales manager for Aberdeen oil and gas company TAM International, joined the thousands of fans who partied the night away in the capital. Before the evening was out there was another surprise on the way for the couple, as they found themselves meeting former Grand Slam winner Craig Chalmers. Mr Cooper said: “As somebody who has followed rugby for a lot of years, I was just so fortunate. I kept pinching myself. “He played in the 1990 Calcutta Cup victory and was one of the players I watched when I was going to schoolboy rugby. “It just seemed to be my day.